Reminder: Montreal Monument Call for Entries from July 17 to 28th! 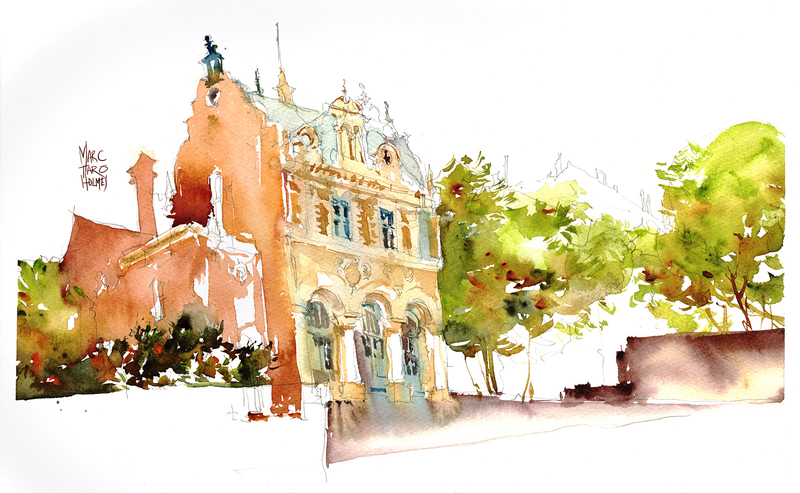 The great folks at Urban Sketchers Montreal have been working hard, preparing for an exhibition of YOUR drawings! In celebration of Montreal’s 375th, and in partnership with Heritage Montreal, 50 selected works of art, and various original sketchbooks will be on display in the Hall of Honor at Montreal city hall, in the months of August and September. There’s no fee for entry, and you may submit either individual sketches mounted on foamcore, or, bring in your entire sketchbook, to be displayed open to your favorite page. You don’t even have to be a resident of Montreal, just that you were actually here, and did the drawing on location. 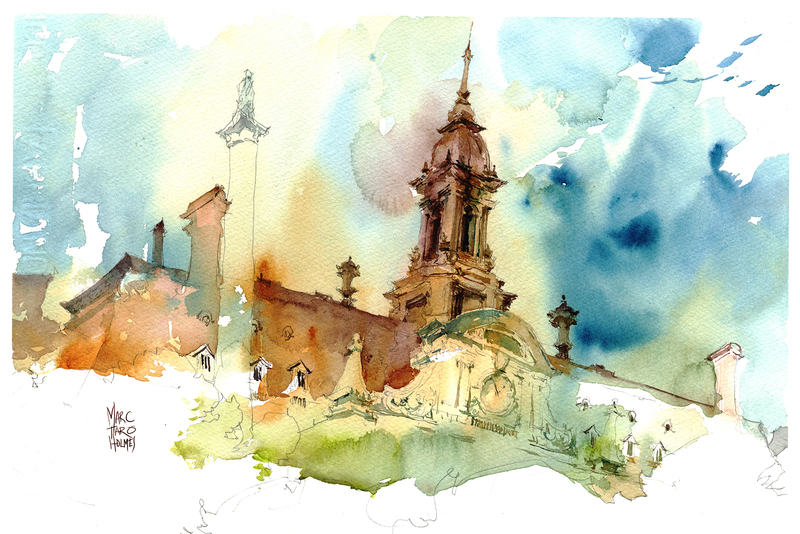 Marc.. Im attending your workshop in Chicago.. Any essential materials needed or just the watercolor sketching basics? I personally think tube color is essential (over pans) to avoid dry/weak mixes, and then a nice sharp round – like a #7 sable or fresh new synthetic (Princeton elite is nice). I like a pointed round. Also I recommend a coated paper like Canson Montval or a cotton like Fabriano Artistico.